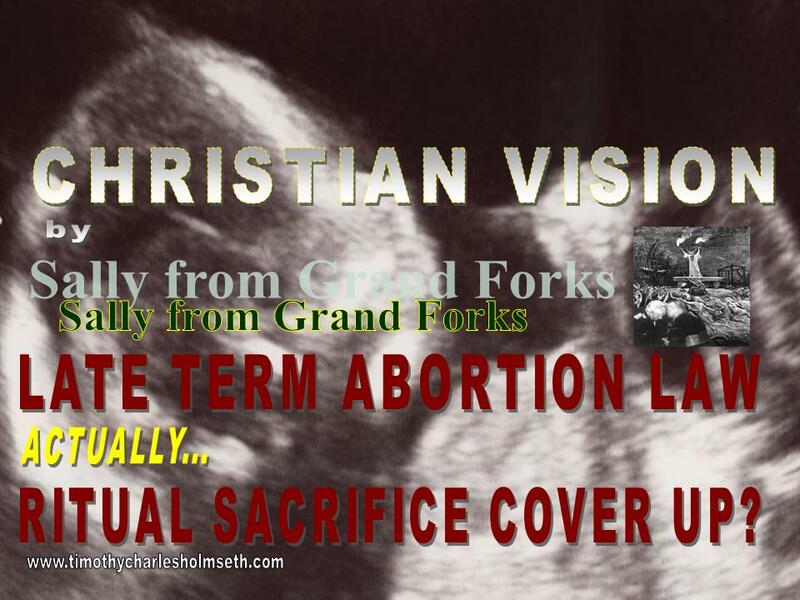 Sally McKinnon, Grand Forks, telephoned me today with an interesting concept she had regarding the sudden rush in New York by Andrew Cuomo to enact a law making it legal to kill a baby. McKinnon raised the idea that Luciferians are in a panic and scrambling to create laws that could make it legal to kill infants and babies. As I discussed this with McKinnon I agreed and theorized it may be an attempt to create a law to try to cover up for the babies they have already murdered and buried. I published a segment of our conversation. I think you’re correct. Evil people are creating these laws. Absolute evil could only celebrate this as a cover up for their abominations.